Cobb: I’m going to improvise. Listen, there’s something you should know about me… about inception. An idea is like a virus, resilient, highly contagious. The smallest seed of an idea can grow. It can grow to define or destroy you. Ariadne: You might have the rest of the team convinced to carry on with this job, but they don’t know the truth. Ariadne: The truth that at any minute, you might bring a freight train through the wall. The truth that Mal is bursting through your subconscious. And the truth that as we go deeper into Fischer, we’re also going deeper into you. And… I’m not sure we’re gonna like what we find. For all the dream layers within Inception then, the movie connects well with our reality. Much of what we do and say comes from deep deep down, a place past the concerns of the immediate and short-term; a place we may not often visit, for fear of what might be, or what is, down there in the subconscious. And these affect the experiences and interactions of our conscious choices. One of the questions which arises in the final scene is whether the top continues spinning or whether it begins to fall, indicating whether the final scene was on our level of reality. Cobb says earlier that “we all yearn for reconciliation, for catharsis” and at this point, Cobb has achieved the reconciliation that he sought. It no longer matters in the context of the film. We must look at what is real for him – after all, what is real when we are watching the movie? 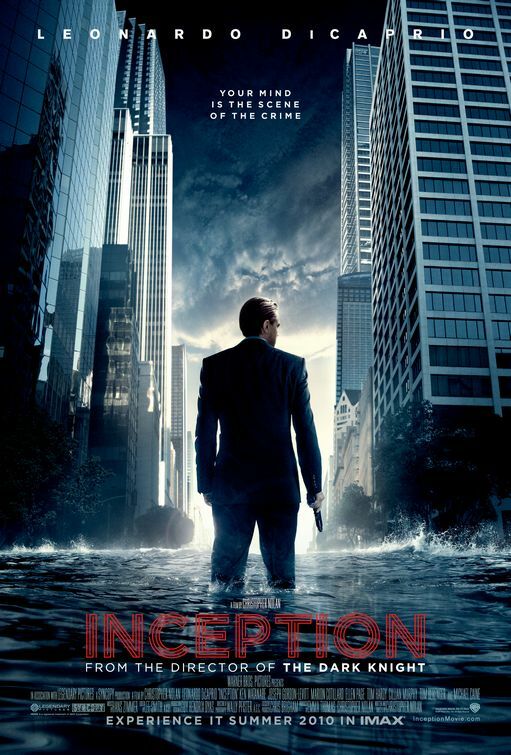 Though it is an interesting question to puzzle over, Inception is not about what is real (unlike The Matrix), but the reality of the intangible and subjective – we really do live through guilt, through feelings, emotions and thought processes, and these realities bear themselves out in a yearning for restoration and reconciliation. Living through memories, regrets, opportunities lost. Not tangible but no less real. A similar thing could be said of lust or hatred. Not tangible, but no less real experiences and desires, though we could argue about whether these things objectively indicate the state of ourselves. Indeed, the tagline for the movie is “Your mind is the scene of the crime.”, so at least from a marketing angle there is some moral question at stake! Like Cobb, we all have stuff we regret, but in Christ, they need no longer define or destroy us. Interesting connection, I don’t think many would think to tie Inception to Christianity. Thanks for reading! Jesus says a lot about our internal ‘world’, and in the Gospel we find that he actually comes to define us, both at the level of personhood and subsequently in how we think and act.